Cirrhosis of the liver is a condition in which the healthy liver tissue is replaced by nodules and scarring, hence changing its normal ability to function. This limits the blood flow through the liver and affects the livers ability to function at its optimum levels for our health. Bile production ability and flow is also affected. Untreated cirrhosis can aggravated quite quickly and lead to serious consequences. Cirrhosis of the liver is an irreversible condition and as the stages of cirrhosis progress, its symptoms also worsen. Cirrhosis is considered the final stage of liver fibrosis where there is liver cell death and scar overgrowth. Not all liver diseases develop suddenly into fibrosis and even if they do, many like hepatitis C may take years to do so. • Compensated: Few noticeable symptoms are present. Any liver function tests performed in this stage will show normal readings. Only a biopsy reveals the cirrhosis in this stage. Symptoms like fatigue, anorexia, thirst, nausea and dull abdominal pain may occur. Most of these symptoms are gastrointestinal in nature and the main symptom is an enlargement of the liver. • Decompensated: This is the final stage of Cirrhosis when complications like ascites, gastric bleed, peritonitis, hepato-renal dysfunction or portal hypertension arise. A condition called hepatic encephalopathy may also result. This is a state of mental disorientation or even coma which results as harmful toxins like ammonia leak out of the blood vessels and reach the brain. Acupuncture can have many uses to treat cirrhosis and halt its progression. With the help of acupuncture, you can prevent the liver disease from progressing or reversing a decompensated stage back to a compensated state of the disease. 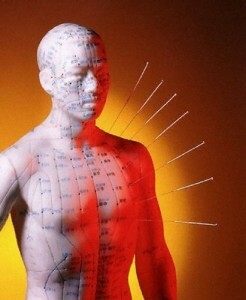 Acupuncture can also help treating the causes that can aggravate cirrhosis. Acupuncture treatment or Chinese herbs can be used to treat alcoholism or hepatitis C along with western medicine which may lead to cirrhosis. • Stagnation of the liver yin: Cirrhosis of the liver occurs because of the stagnation of the liver yin. This causes retention of bile, blood and fluids in the liver. It also causes fat deposition in liver cells leading to fatty liver. • Increase in liver Yang: Fatty liver causes an increase in liver Yang which increases heat production by the liver. This excess heat causes drying up of all liver fluids. Hence the cells of the liver collapse and spindle-like fibers surround the tissue of the organ. This is the state of liver fibrosis. This shrinking of the liver is called cirrhosis of the liver. 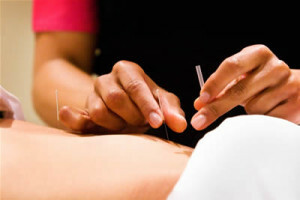 Acupuncture is an ancient healing technique used in TCM which involves penetrating needles at certain points in the body to enable the free flow of energy or Qi. Liver 3 is a point on the liver meridian called tai chong in Chinese. This is the source point of the liver. It has been shown that by needling this point the liver enzymes (ALT and AST) and liver function has shown considerable improvement. It helps directs the energy to the liver and improve cirrhotic functions. The correct procedure for using acupuncture in cirrhosis treatment is using points in both these groups at least ten times each. Each group is used alternately with the other by following this method. The associated points are basically used according to the symptoms of the cirrhosis and the clinical manifestations that are present on examination. They are used ten times in each session as a course. Usually a break of 3 to 5 days is provided in between two consecutive courses. • For symptoms such as abdominal distension and fullness, Ren-12 and St-21 can be used. • For gastrointestinal symptoms like diarrhea, St-25 and UB-25 are used as acupuncture points. • For bladder symptoms like production of lesser urine, points like Ren-3 can be used. • For pain that is present in the region of the hypochondrium, the acupuncture point called GB-34 is used. • For general symptoms of cirrhosis of the liver such as palpitation and dyspnoea, the two acupuncture points P-6 and Ren-17 are used. Acupuncture is a useful approach to helping treat Cirrhosis of the Liver and has been used with good results to restore vital energy flow to help wellness and comfort and alleviate many of the symptoms of Cirrhosis which can be debilitating for patients.